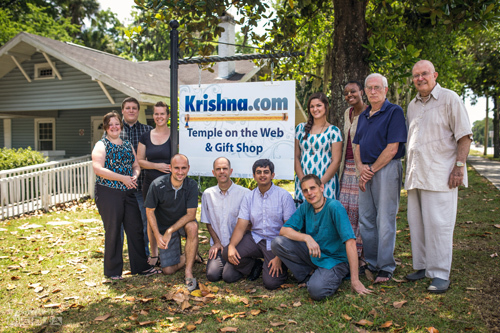 Krishna.com Store and warehouse are located in Alachua, Florida. For walk-in purchases, we are open Mon-Wed-Fri from 12:00 pm to 4:00 pm. If we're not open for walk-ins, you can reach us by phone weekdays, Mon-Fri, from 12:00 am to 4:00 pm EST (UTC -5). If you get our voicemail, please leave a message and we'll return your call as soon as possible. You can reach us by email anytime. Sign up for many different kinds of email newsletters, from new product offers to sales to free meditations and ebook clubs. You can contact us here for topics other than store and purchase related comments and questions.